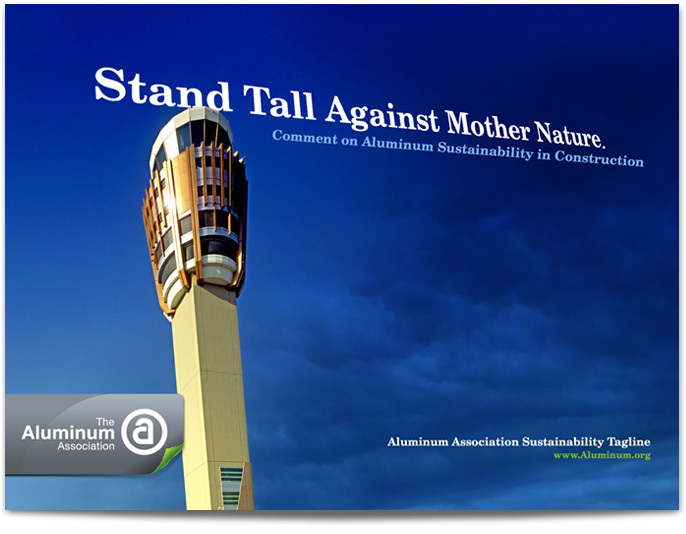 The Aluminum Association came to us for help expanding their brand in a way that would bring the environmental benefits of aluminum to life. 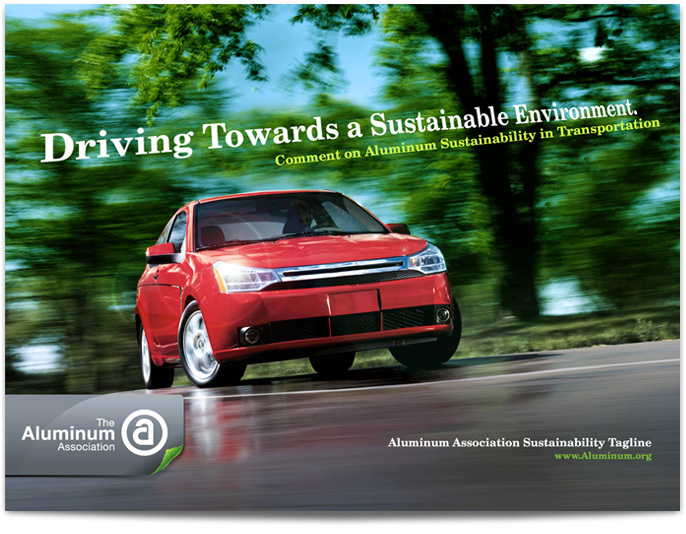 We set out to reveal the green side of aluminum. 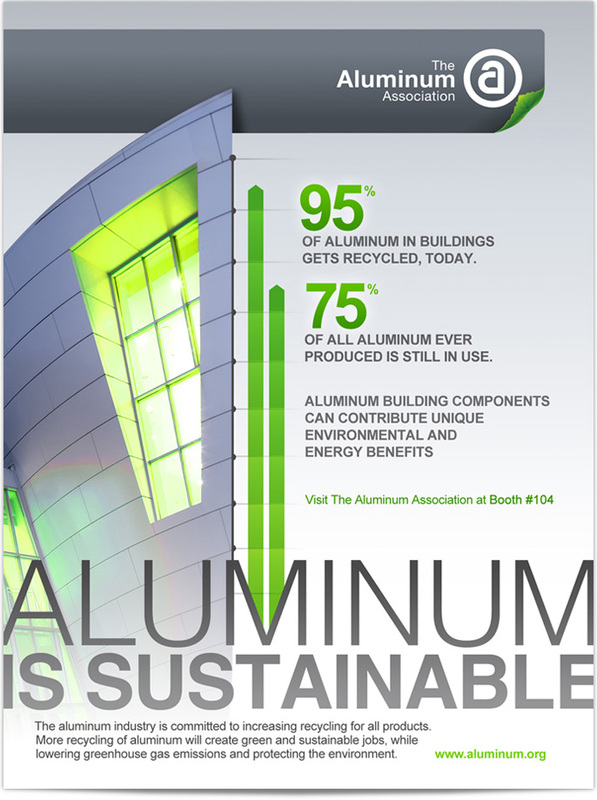 Aluminum Is Sustainability. 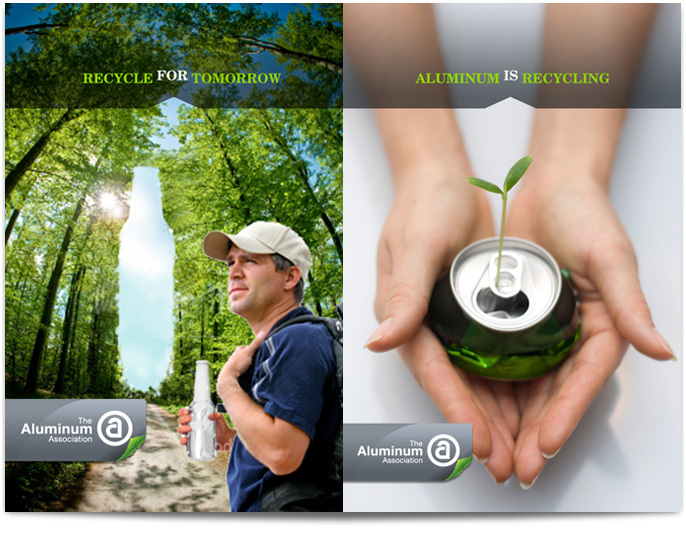 The material is almost infinitely recyclable and we wanted to make sure Aluminum’s “green” side was revealed and promoted. Create a look and deliver a message that would resonate with folks in the industry, lawmakers, manufacturers, and consumers. The campaign message was delivered to Capitol Hill through ads in RollCall and hand-delivered posters. 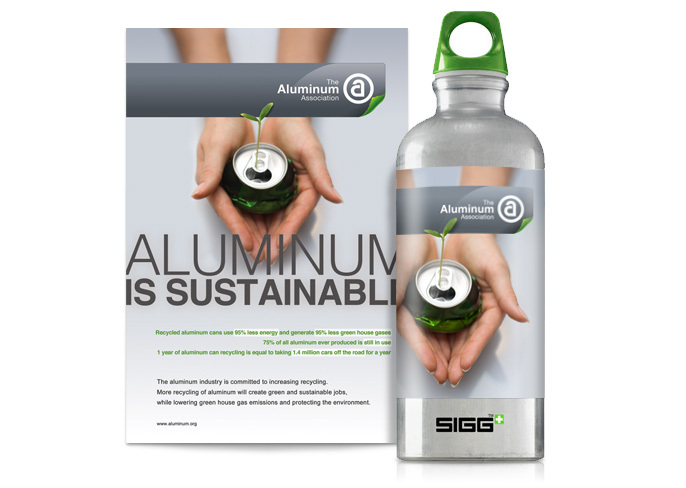 If only time had permitted we would have had custom-printed aluminum bottles from SIGG as well. Maybe next time! This full-page ad appeared in a trade show magazine included with registration kits at MetalCon.